You are here: Home → Subscribe & get a free book! 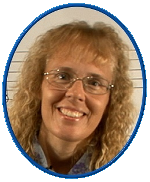 Subscribe to Maria's Math Tips newsletter, and receive a free math ebook! My name is Maria Miller. I want to personally invite you to join my newsletter Maria's Math Tips. Maria's Math Tips comes out usually once monthly, near the beginning of the month. Sometimes I also have other, related items to send during the month (such as giveaways or sale announcements). I include math teaching tips and ideas, freebies, Math Mammoth news, other math news, useful links, and humor. The content is equally good for all of us who teach math (parents, teachers, or tutors), and most of the information in the newsletters is timeless. Once or twice a year, you may also receive an email where I promote something from Inspire4.com — I simply want to spread the word about it. 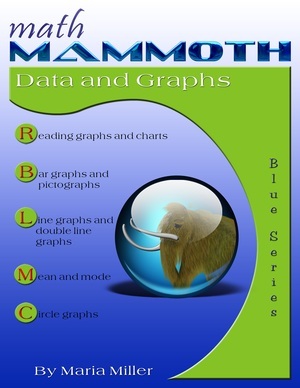 By subscribing you will also get the book Math Mammoth Data and Graphs as a free gift (PDF download)! The book starts with the easiest topics: reading and making bar graphs, pictograms, histograms, and various kinds of line graphs. Toward the end of the book, we study average (also called the mean) and mode, and how these two concepts relate to line and bar graphs. Lastly, we study Circle Graphs.